New Delhi/Mumbai: The government may give cash instead of bonds as compensation to state-owned oil refiners for selling fuels at below cost in the country. The move would bring immediate relief to Indian Oil Corp. Ltd (IOC), Bharat Petroleum Corp. Ltd (BPCL) and Hindustan Petroleum Corp. Ltd (HPCL), which have faced delays in receiving the bonds that were intended to partially offset losses from selling subsidized kerosene and cooking gas as means to help curb inflation. “The tentative thinking is that we will give them cash before 31 March," finance secretary Ashok Chawla told reporters in New Delhi on Tuesday. “These weren’t liquid bonds. They weren’t preferred by the banking sector, and the refiners lost 5% of the bonds’ value in transaction costs," said Niraj Mansingka, a Mumbai-based oil analyst at Edelweiss Capital Ltd.
“This is good news, if the government follows through," said B. Mukherjee, finance director of HPCL. Mukherjee and BPCL finance director S.K. Joshi said they have not been notified of any decision by the government. IOC chairman Sarthak Behuria declined to comment when contacted by phone. “Compensating the oil companies in cash will not force the government to borrow more money or overshoot its budget deficit target," Chawla said. The government’s stimulus programme may push the budget deficit to 6.8% of gross domestic product this year, the most in 16 years. Shares of IOC closed up 1.19% at Rs305.65 each after gaining as much as 2.2%. 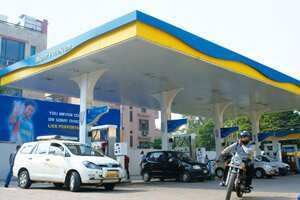 BPCL gained 2.4% to Rs608.10, while HPCL advanced 1.84% to Rs386.85. The benchmark Sensex of the Bombay Stock Exchange rose 0.6% to close at 16,692 points on Tuesday. Archana Chaudhary in New Delhi contributed to this story.